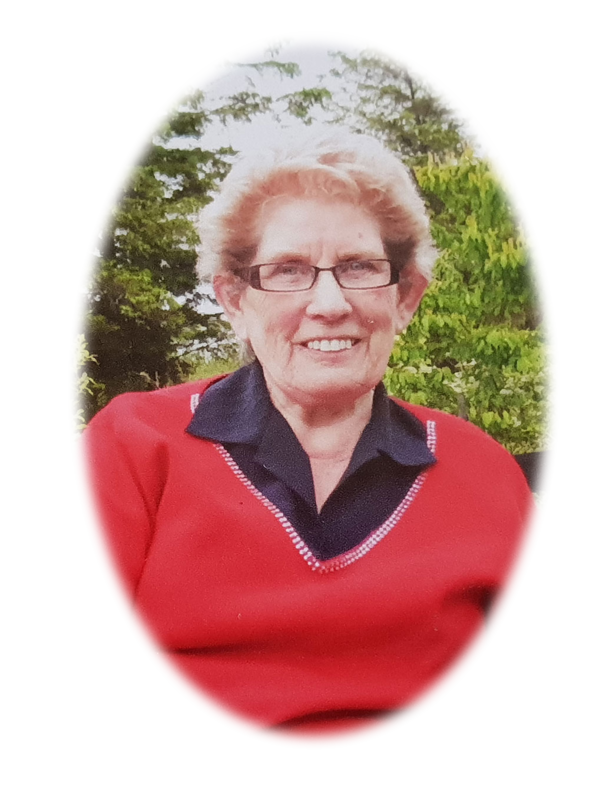 Mc Carney Brigid Eskra (nee Mc Girr) died peacefully in the South West Acute Hospital on 6th December 2018 surrounded by her loving family formerly of Altanarvagh Eskra. Dearly beloved wife of the late Patsy and much-loved mother to Chris, Eamon, Perpetua (Latta), Declan and Adrian. Sister to Francis, Michael, Hanna (Barrett) and the late Mary Alice (Monaghan). Brigid will be reposing at her late residence, 4 Sherwood Close Fintona BT78 2DF from 8pm on Thursday 6th December 2018. Brigid will leave her late residence on Saturday 8th December at 2pm for 3pm requiem mass in St Patricks Church Eskra, burial afterwards in the adjoining cemetery. Family flowers only; donations in lieu if desired to the Northern Ireland Hospice c/o McAtee Funeral Directors. Deeply regretted and sadly missed by her daughter, sons, brothers, sister, daughters-in-law, sons-in-law, grandchildren, nephews, nieces and family circle. Sacred Heart of Jesus have mercy on her gentle soul.